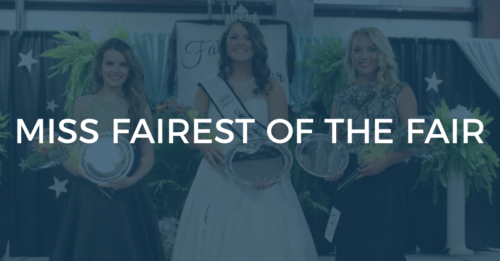 The Miss Fairest of the Fair Pageant (ages 16-20) will be held under the Smith County Ag Pavilion at 6:00 p.m. on Monday, July 2, 2018. Contestants MUST be ready for interviews at 5:00 p.m.
Entrant is and always has been a female and has reached her 16th birthday by the date of pageant, but not her 21st birthday on or before December 31, 2017. Pageant staff has the right to request proof of age. Winner is REQUIRED to compete at the state pageant/convention January 2019 in Nashville. 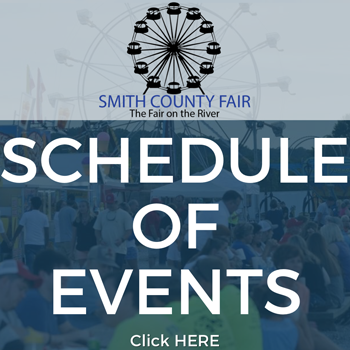 Fees will be provided by fair association which includes room, meals and all entry fees. The competition includes attending various events during the 3 day convention. WINNER WILL MISS 1.5 DAYS OF SCHOOL. Dress must be floor length formal.